Well it is Sushi Friday again, and we kept with the tradition. As an appetizer we had some miso-shiru soup. We had avocado covered unagi (eel) rolls, spicy tuna roll, and ebi (shrimp) cucumber roll, and sake (salmon) cheese and capers roll. It was very fresh, and it all tasted great. As some of you want the recipes, it is very hard to explain sushi making in one sitting, so today I will show you how to make Sushi Rice. 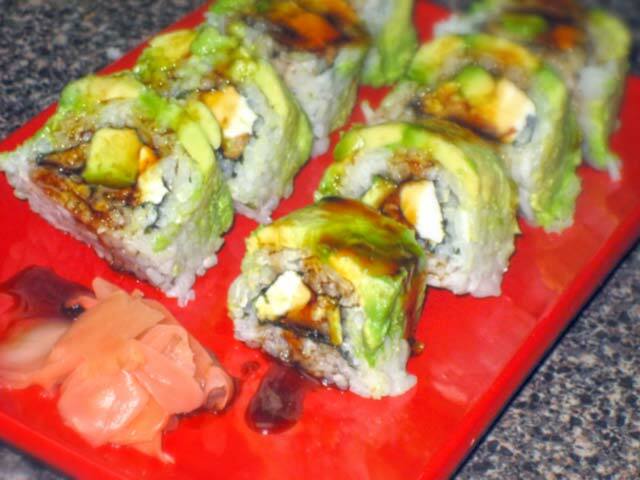 I hope you come again for another Sushi Friday were I will continue with the Sushi recipes.